Bunkers were built all over Europe in the course ofthe twentieth century. 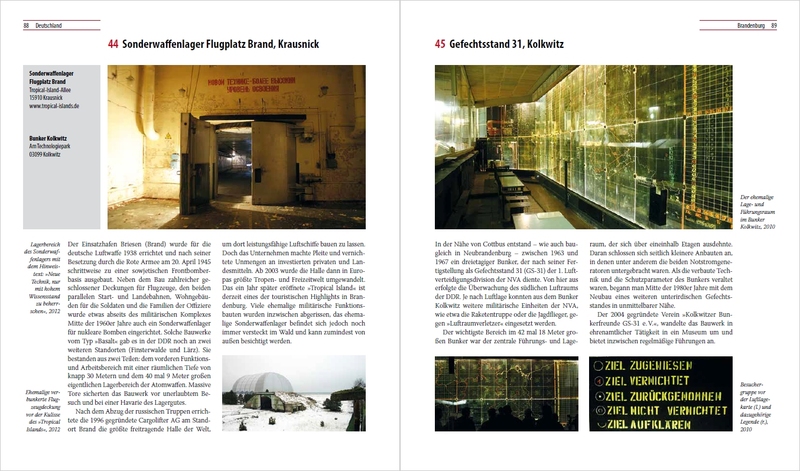 Martin Kaule documents purpose-built military structures made of concrete,but also underground installations built duringWorld War II for the German armaments industry, civilian air-raid shelters, as well as numerous structures from the Cold War bearing witness to the arms race between East and West. 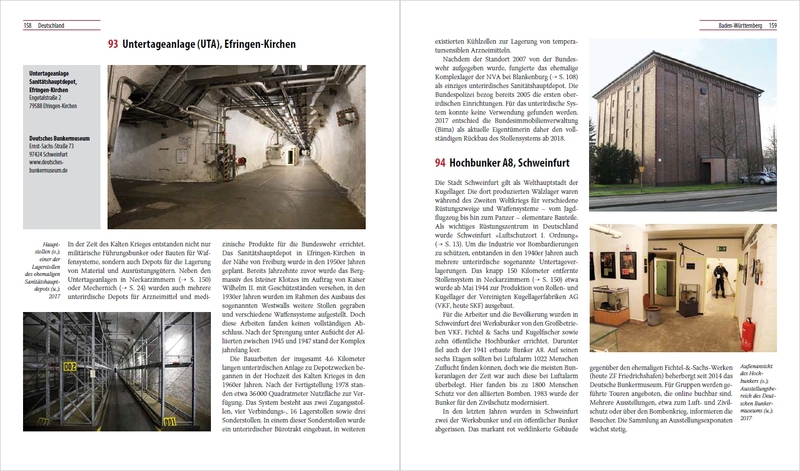 Around 100 bunkers in Germany, among them facilities of the allied powers, and nearly 50 in the rest of Europe, from Russia to France, are dealtwith in the form of concise essays illustrated with more than 350 present-day and historical photographs.The historical and political significance of the structures are explained along with their current uses: above-ground and underground air-raid shelters, tunnel systems for submarines and air-planes, or extensive underground facilities, some ofwhich are still off-limits today. Once top-secret military depots and command posts or the bunkered facilities of secret services are presented here for the very first time. Martin Kaule: Born in 1979, studied computer science and business management from 1999 to 2001; photo documentations since 2001, as of 2005 organization of study and research trips through all of Europe, since 2008 digital projects manager at Ch. 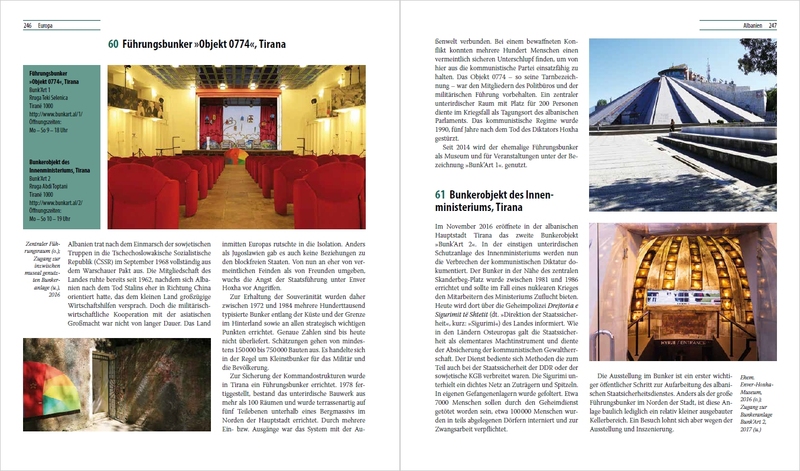 Links; executivemember of the “Places of History” society. Books published by Ch. 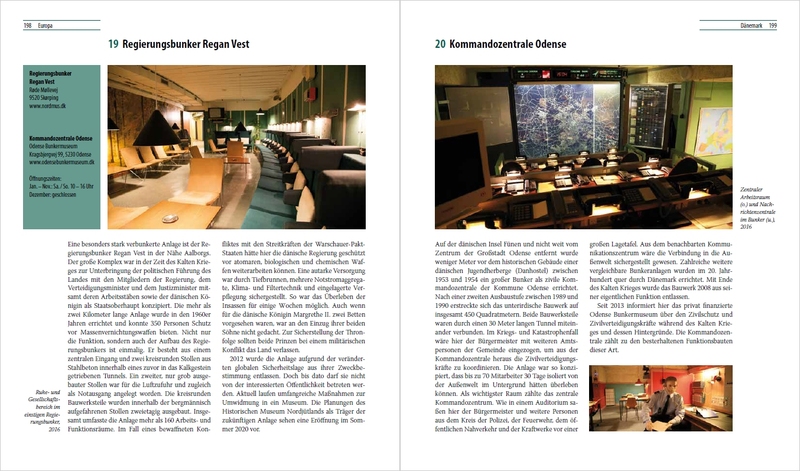 Links: historical travel guides Baltic Sea Coast 1933 – 1945 and North Sea Coast 1933 – 1945. 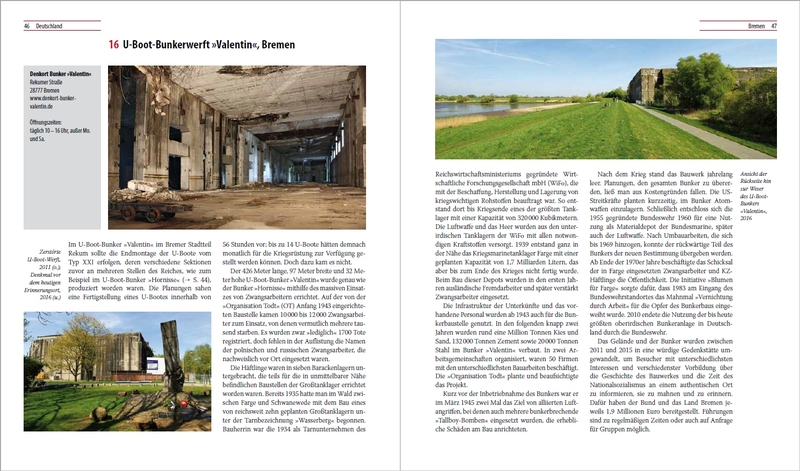 Insgesamt 150 Schutzanlagen aus Stahlbeton versammelt der reich bebilderte Band, der beinahe so etwas wie ein Reiseführer zum Jahrhundert der Bunker ist. Das letztlich vergebliche Bemühen, mit immer besserem Schutz die Folgen eines eventuellen Krieges wenigstens für einige Menschen abzumildern, mag zynisch erscheinen. Gleichzeitig aber ist es faszinierend.